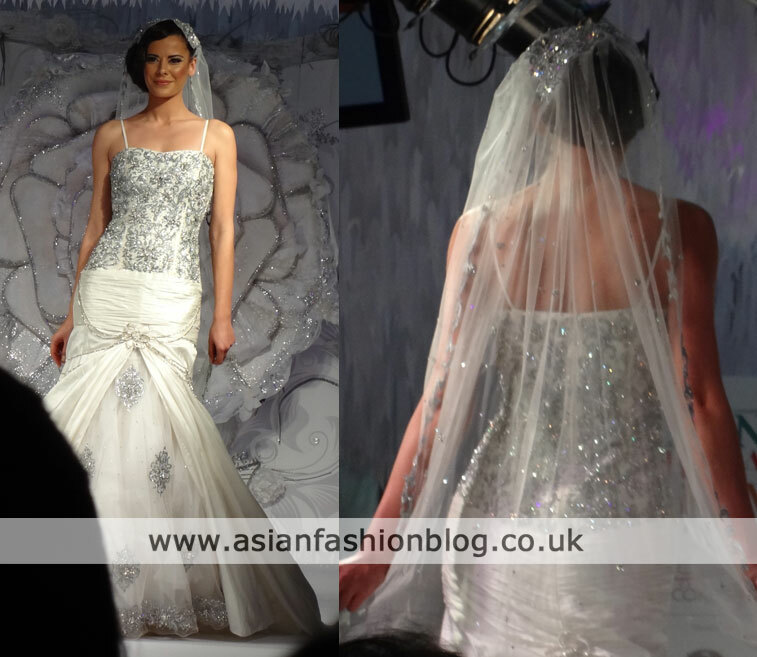 Asian Fashion Blog: Where can I buy a fusion bridal outfit in London? Where can I buy a fusion bridal outfit in London? S from London emailed Asian Fashion Blog recently for some advice on fusion bridal gowns, here's her question and what I recommended! I hoping you can give me some quick advice. I'm getting married in November and I'm looking for a fusion bridal outfit asap (I'm English marrying British Asian). Can you recommend the best places to look in London? I don't mind either gown or lengha but I would like something that's not too heavy with the work but has that wow factor in terms of cut/design. I'll need it by the end of October so they would need to be able to be able to make it quickly ie within 6 weeks! 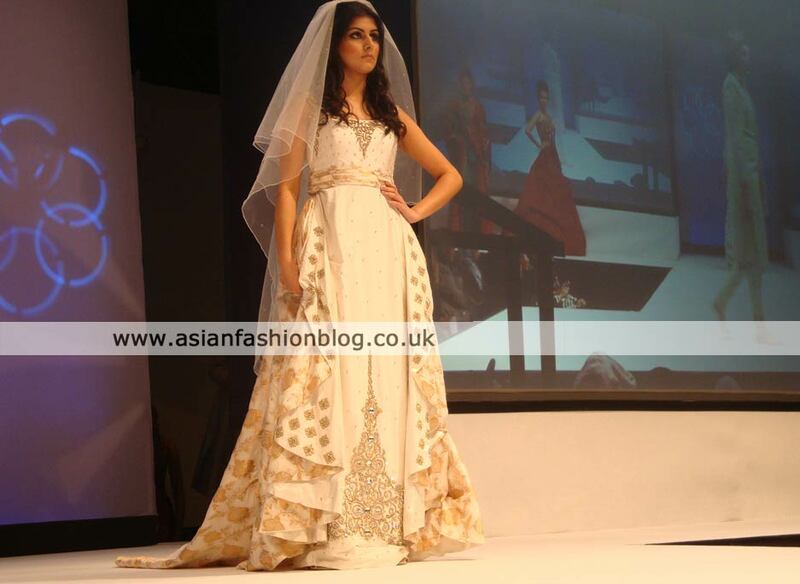 Raishma are based on Green Street in East London and they have a wide variety of fusion-style bridal gowns. I've visited the store a few times and the bridal lounge feels like perfect place to pick out your dream dress. You can find out more information at the Raishma website. Also on Green Street, if you're visiting Raishma it's worth popping in to view their collection too. Their website says it takes 10 - 12 weeks for bridal outfits but they may have express order options - no harm in asking! Find out more on the Khubsoorat Collection website. You will find RDC on Ilford Lane. They have both fusion-style outfits as well as more heavier traditional asian bridals. They regularly update the RDC Facebook page with their latest outfits so that's the best place to go for info. Traditions are based on Broadway in Southall. 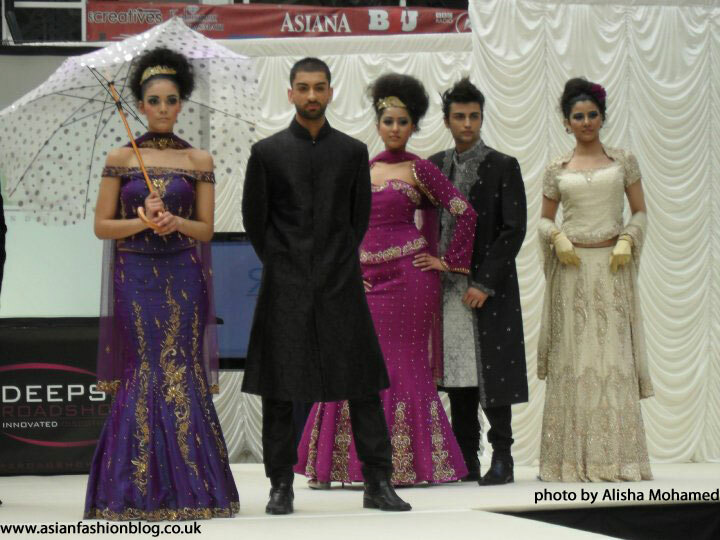 They displayed some beautiful white bridal gowns with asian-style embroidery at this year's Asiana Bridal Show. You can find more information on the Traditions Facebook page. S replied back the next day, saying she'd been to Raishma and ordered her dream dress. They were able to accomodate her timings and she should have her dress by the end of October, she commented "Raishma's bridal wear is amazing and by far the best selection I have seen". She's now on the lookout for a make-up artist who can give her a subtle asian bridal look with a focus on eye make-up. My knowledge of London-based asian bridal make-up artists isn't quite as good as my knowledge of asian fashion, so if you have any recommendations leave a comment!